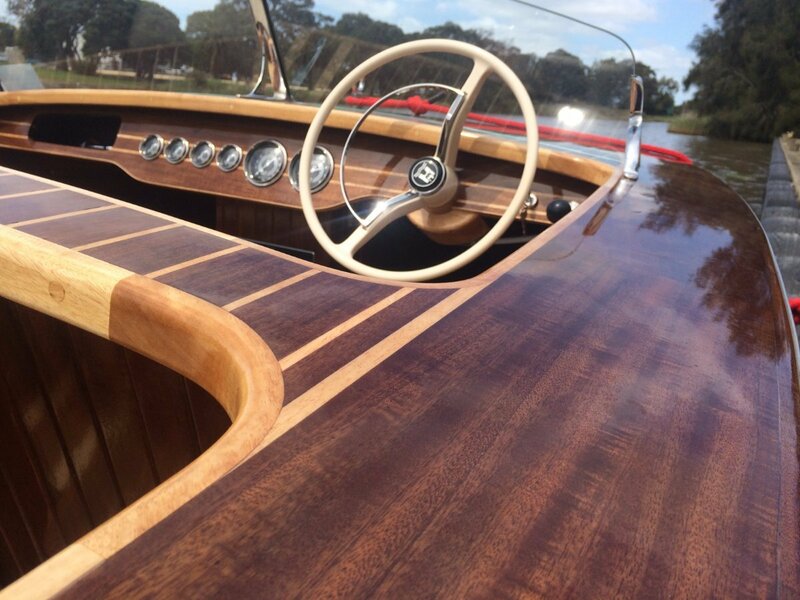 Composite Exotic timber, ply and the west system of epoxy protection. 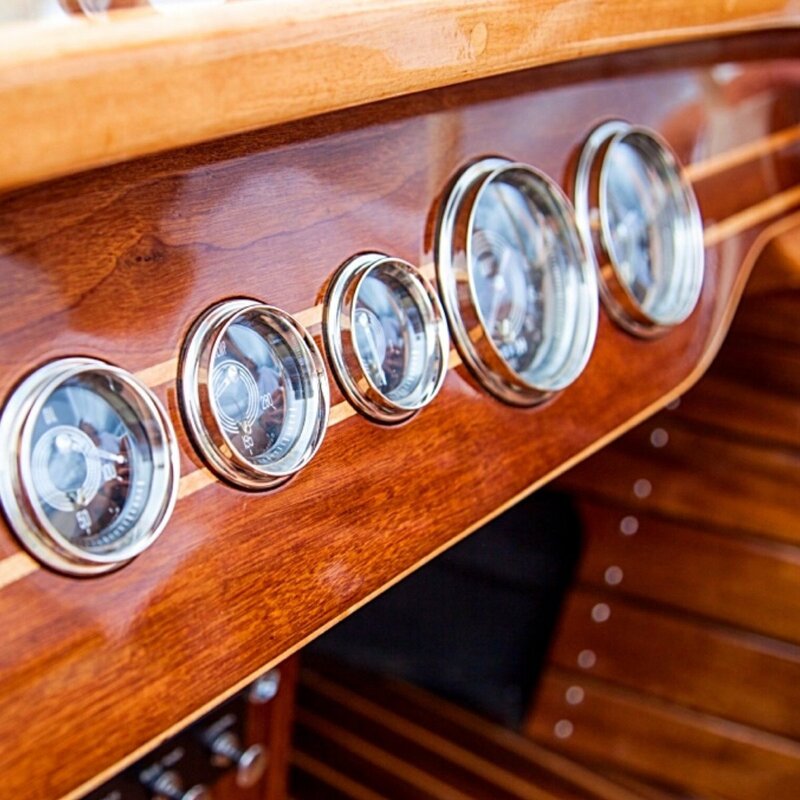 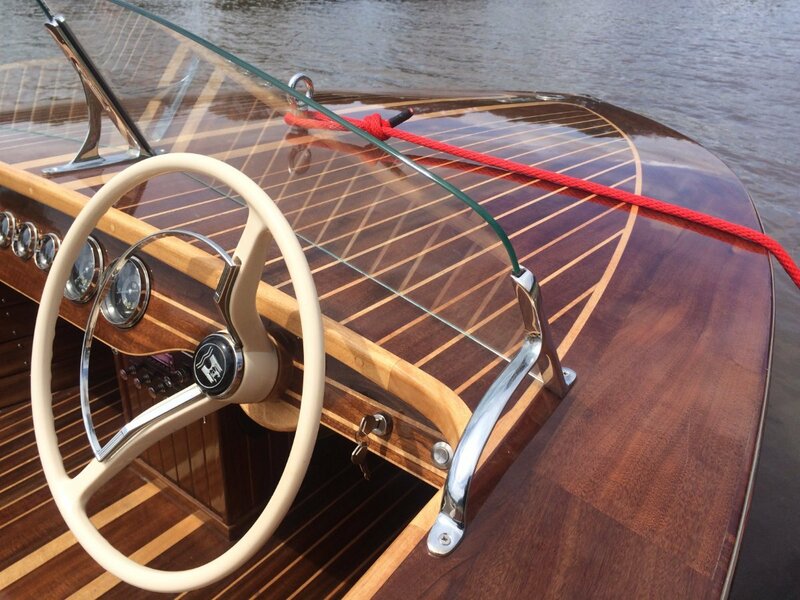 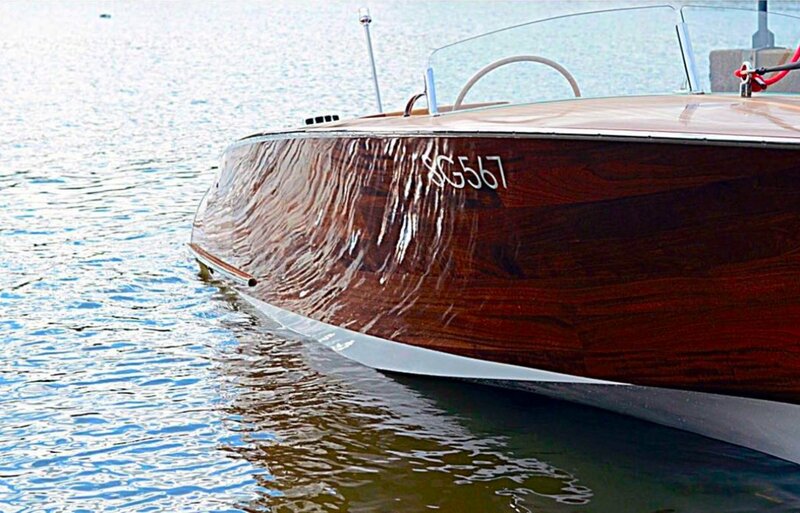 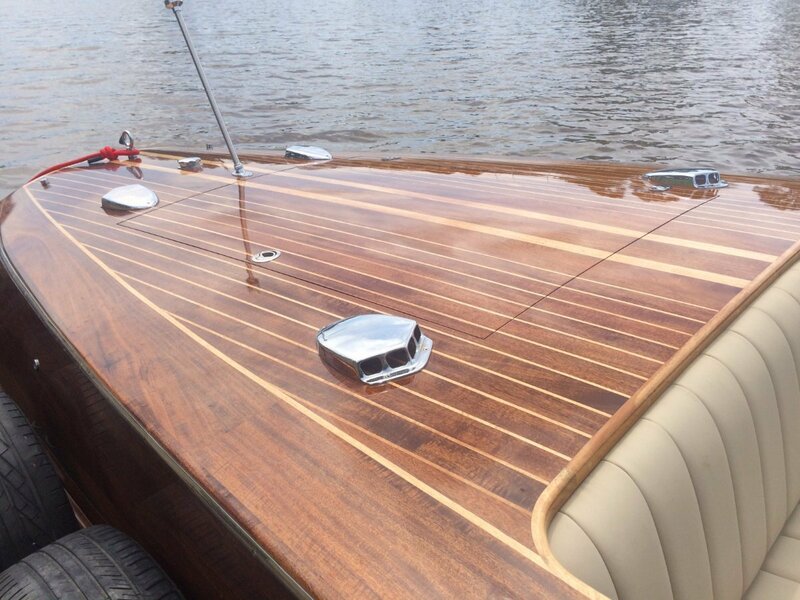 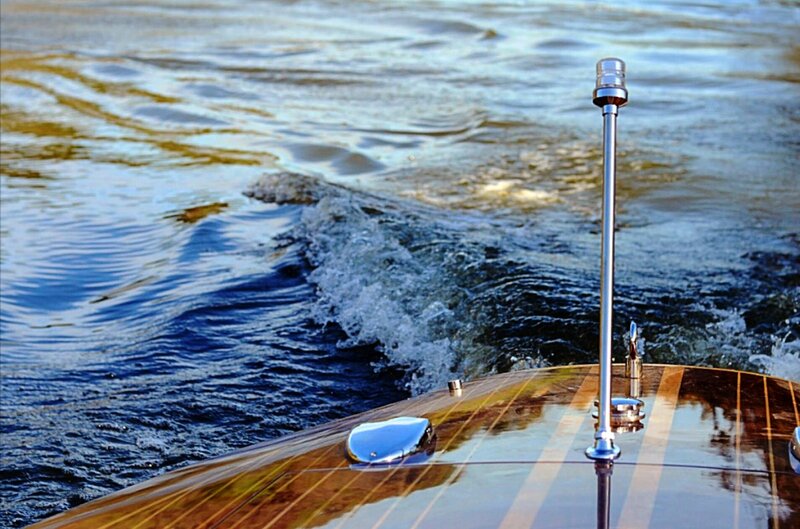 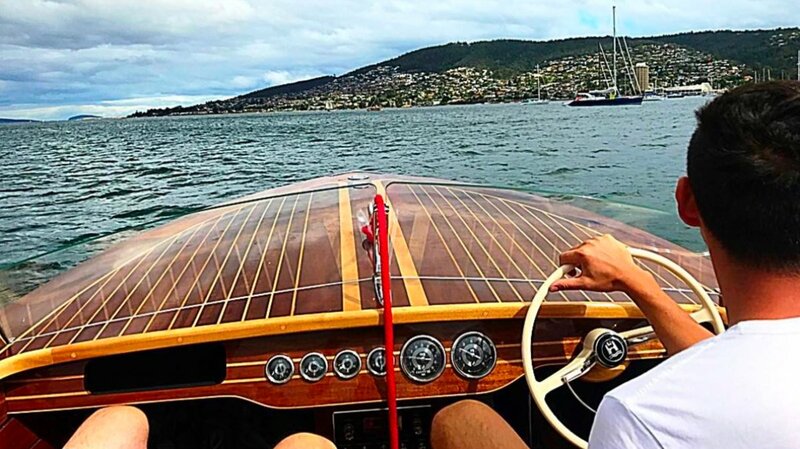 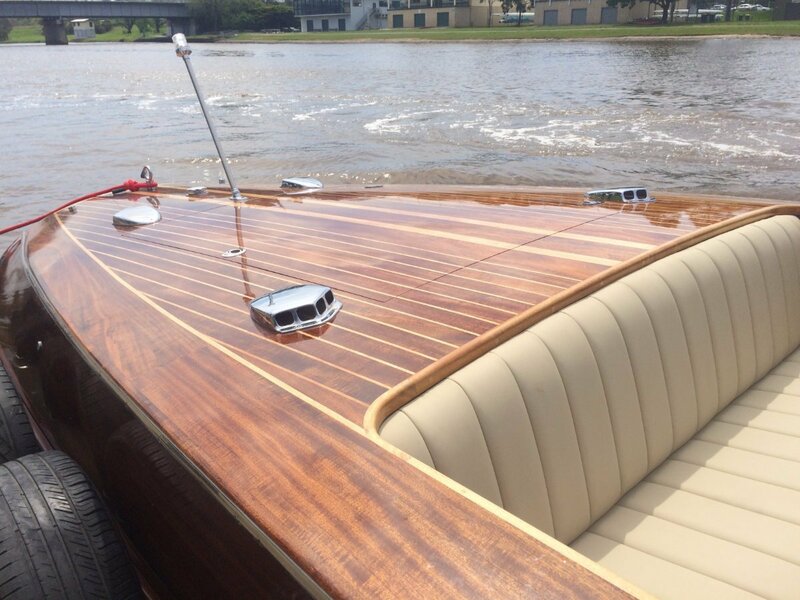 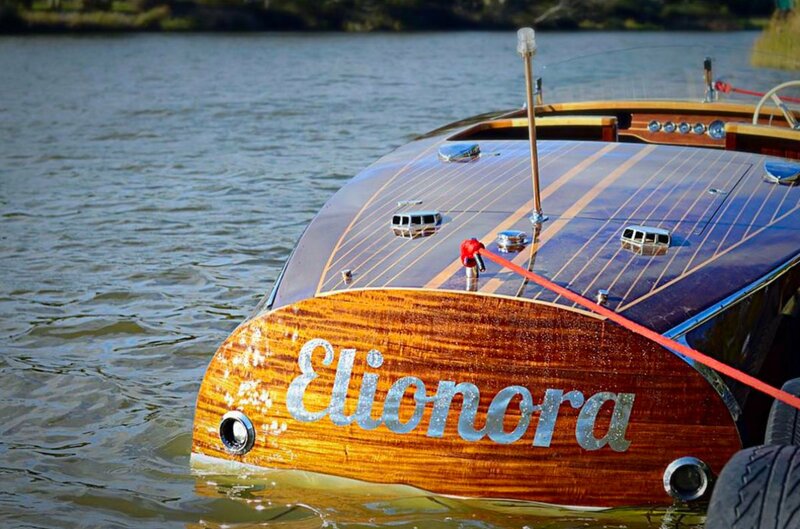 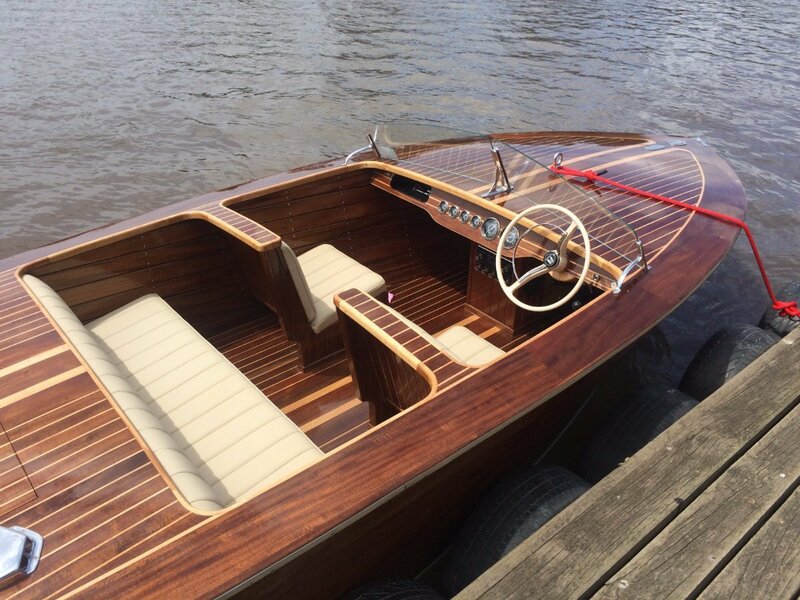 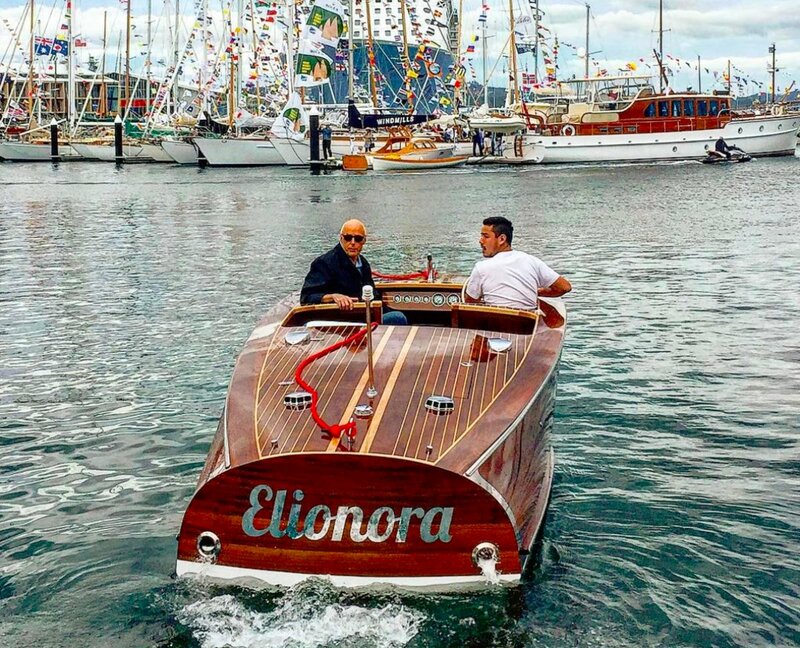 It is rare to see a boat of this quality and beauty, and to be in such perfect condition. 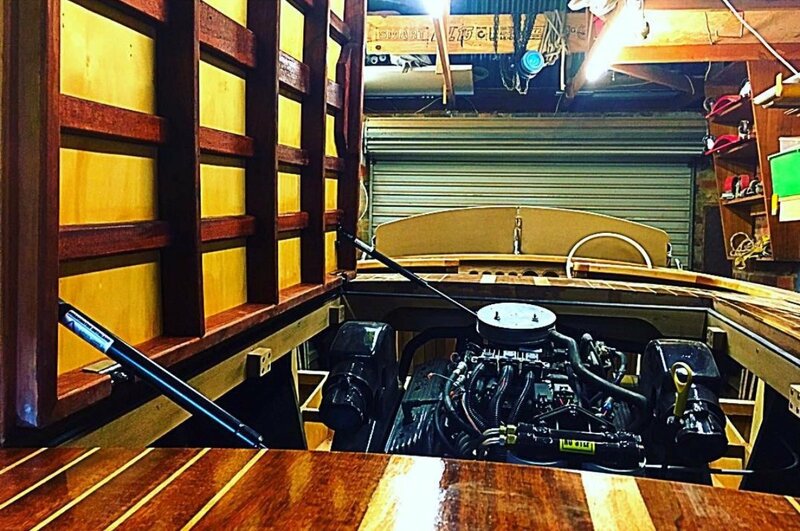 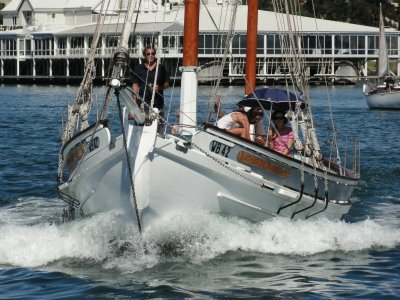 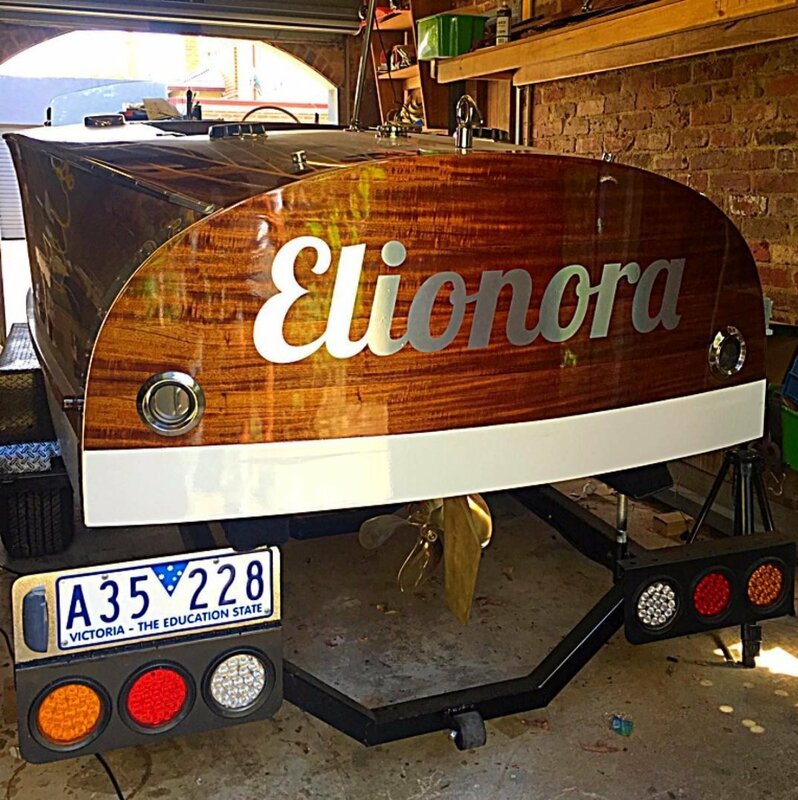 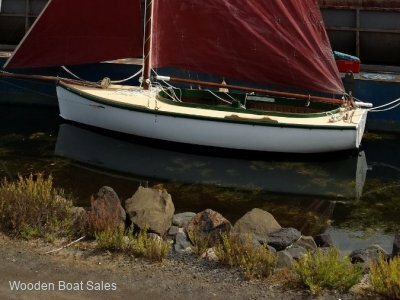 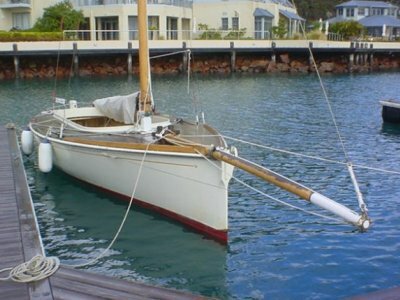 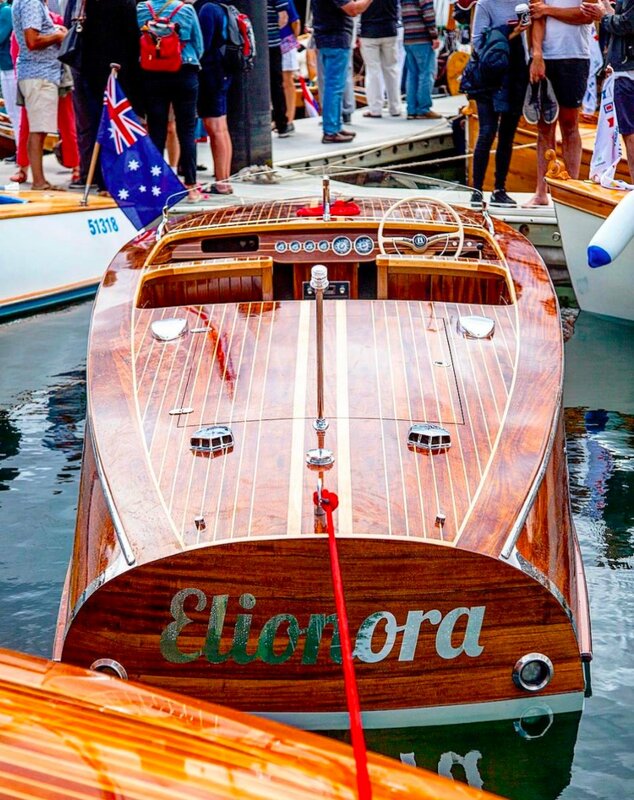 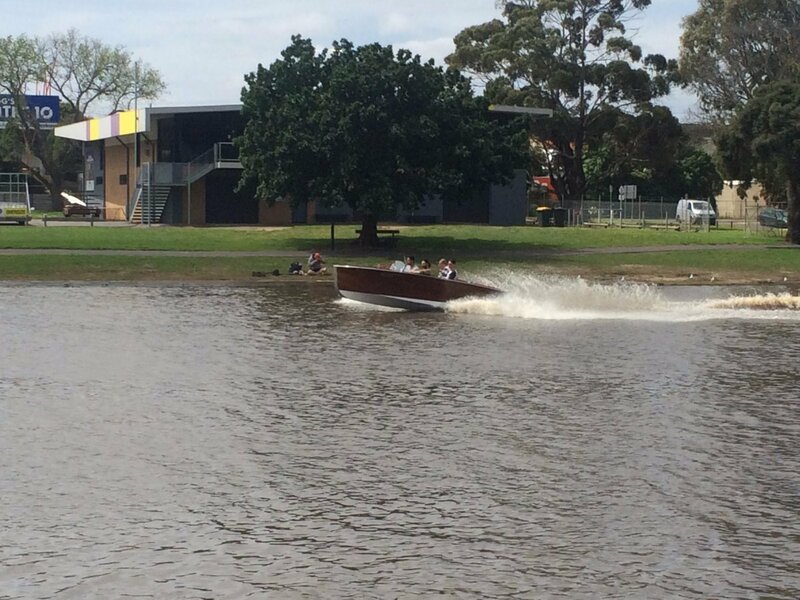 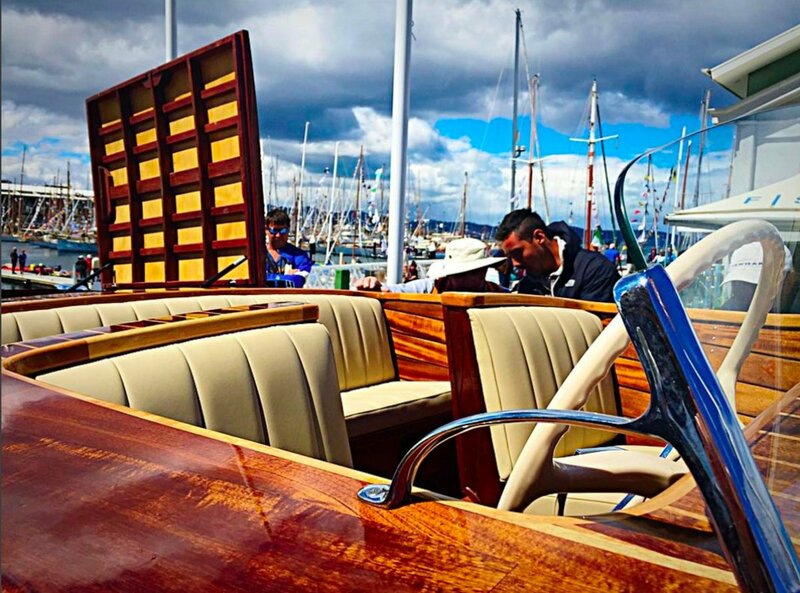 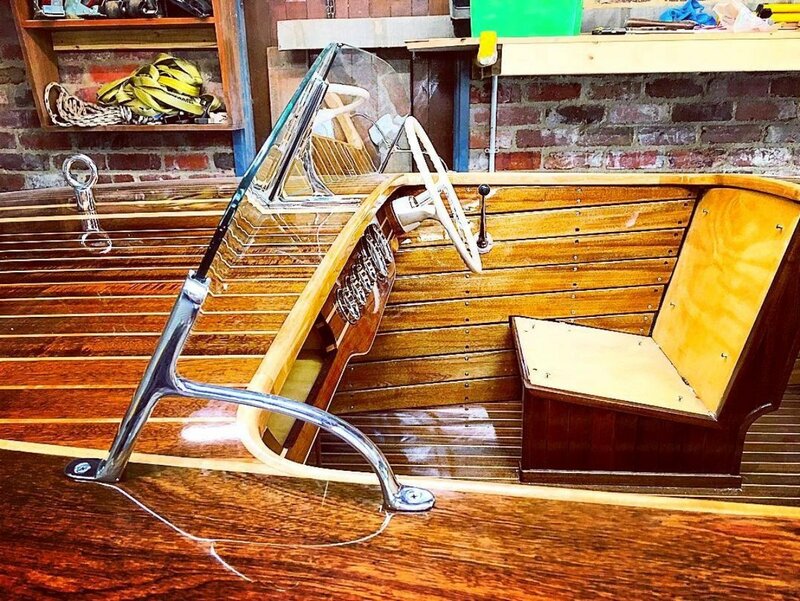 Recently shown and received an award at the Hobart Wooden Boat Festival, she is ready to be put in the water and used, then put away as a thing of sheer pleasure to look at. 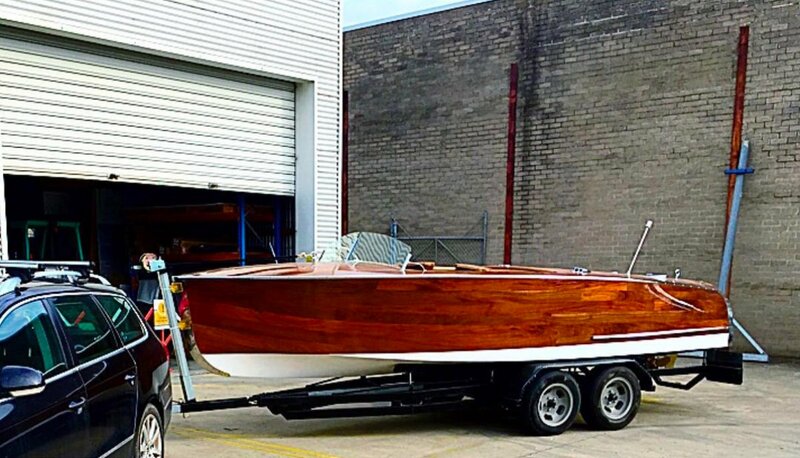 It would be perfect as a display in a showroom or for a movie prop. 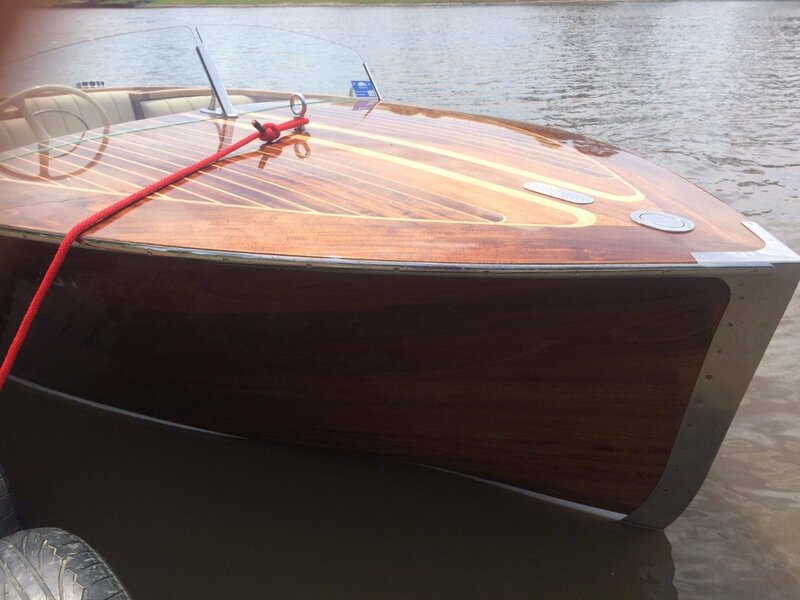 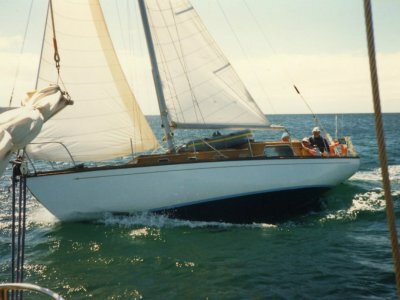 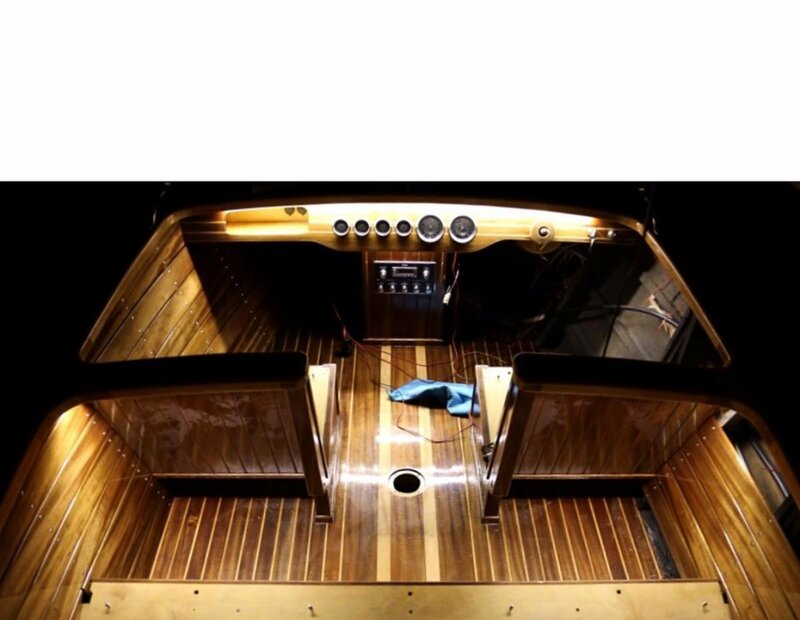 The plans are based off the 1939 to 1942 Chris Craft Custom Barrelback 19' recreated by Ken Harkinson for construction using modern boat building techniques.